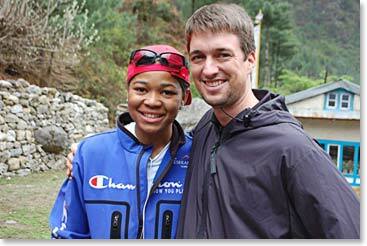 This is Temba with our dispatch from Namche. We had a very good night last night in Phakding. After a day of travel and trekking, everyone had a good night's sleep at the lodge. We got up early and hiked to Namche this morning. There are always lots of interesting sights and sounds as we arrive in this place and everyone is really excited to see Mount Everest from the viewpoint tomorrow. On the way up, we ran into LaQuishia and Mike and their crew and they are really excited to be almost back to "civilization". 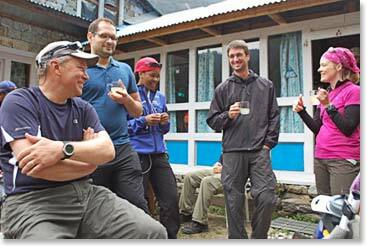 We talked for a while about their experiences in the Khumbu and then they continued down to Lukla. 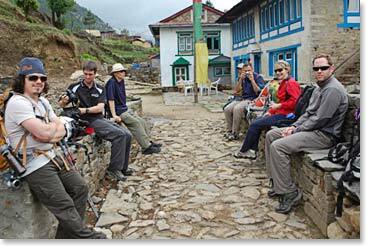 We had lunch at a chalet and then climbed up the famous Namche hill. The weather wasn't great, it was quite cloudy. 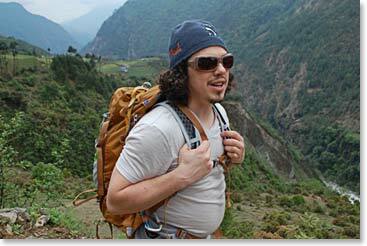 But that's the kind of weather that is perfect for hiking up Namche Hill, because sunny and hot is no fun when you are working so hard. 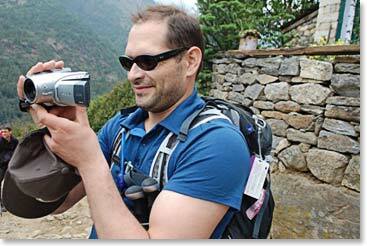 Now we're here in Namche and will have a rest day tomorrow to do some shopping and sightseeing. 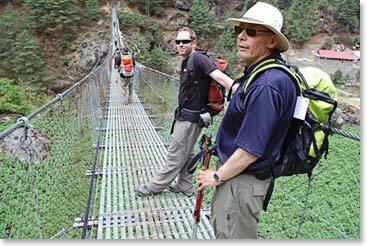 Wes and Steve crossing one of the bridges on our trek to Namche. 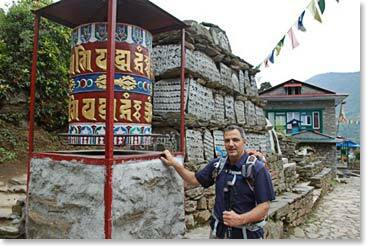 George with a prayer wheel we passed by along the trek. 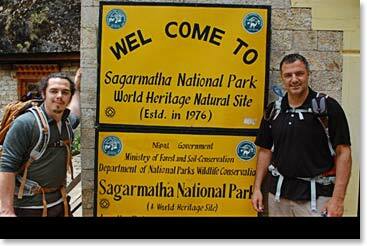 The sign marking our entrance into Sagarmatha National Park. We officially made it! 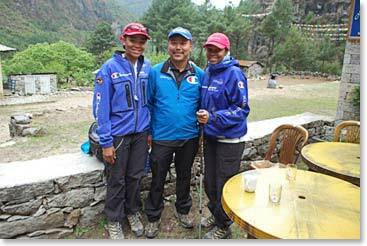 The team is looking strong as we head into Namche. Dave is always taking video of the trip. We cross paths with the other Hanesbrands team on the trail. 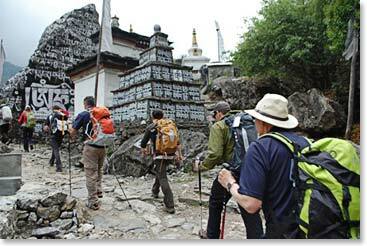 They're on their way down to Lukla today. 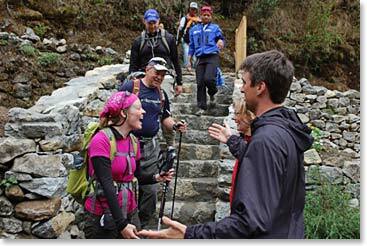 The team heading down from Base Camp shares their stories about the trek with us. Temba is reunited with LaQuishia and LaShonda.